They say you can see Naples and die. And though many Sydneysiders might never make it to the Italian city, we can get a taste of it – literally every night, if we so desire – through a slice of pizza. 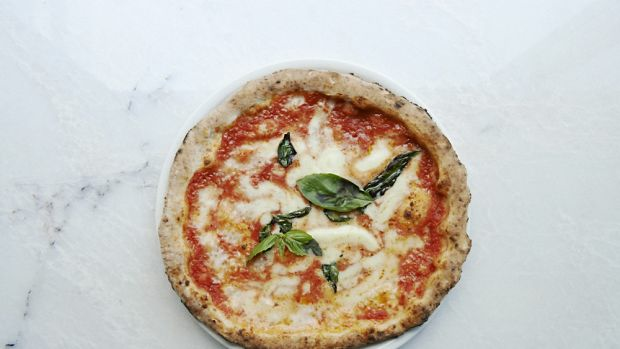 Here in Sydney, pizza is one of our most beloved dishes, and the Napoli style – characterised by an ultra-thin base barely able to hold up its toppings and a bubbly charred crust – is our most popular. Brought to Australia by plucky Italian migrants after World War II, the Napoli slice is simple street food, topped with minimal ingredients, like San Marzano tomatoes, mozzarella and basil, and not much else. When we set out to find the best pizza in Sydney, many came under the Napoli umbrella, with simple toppings and bases so thin, they almost fell apart. But food in Sydney is always changing, and our appetite for the next big thing never seems to diminish. Now, New York-style slices (like those at Epic Pizza in Surry Hills) can be found alongside Roman offerings like those at Al Taglio (also Surry Hills). And of course, our rich history of migrants means that we've always enjoyed multicultural twists on the classics. Lebanese pizza, for instance, has become a beloved category in its own right, and though purists may say it's not quite right, we say, if it's tasty enough, it's fine with us. With so many pizza restaurants in Sydney (and more to the point, so many good ones), we had to come up with some rules for judging. All styles of pizza are allowed. 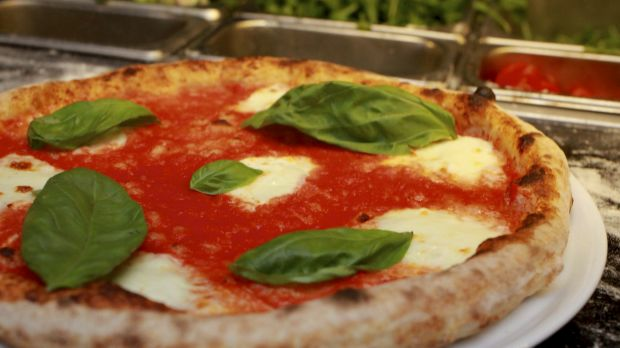 If available, we'd try the margherita at each place, for a sense of comparison. We'd try at least two pizzas from each place. A scoop of gelato is optional but encouraged. There's a reason this small, rustic pizza place is always packed: it turns out a bloody good pizza, night after night. In the classic Napoli style, these pizzas have a light, slightly chewy but strong crust with a hint of saltiness. Try the: Crudaiola. 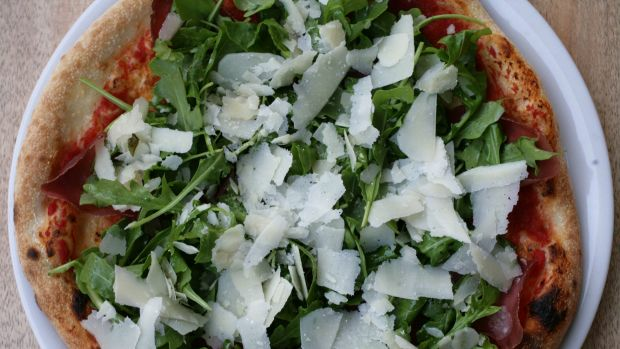 It's like the Marie Kondo of pizzas – every ingredient sparks joy. With a simple spread of fresh tomatoes, mozzarella, garlic, basil, olive oil and pine nuts, it's best eaten folded in one hand, in four or five quick bites. No prizes for guessing the origins of the pizza here. Though this is the home of those famous metre-long pizzas, there's nothing gimmicky about the menu here. The crust is blistered and puffy, with more give and slightly more of a yeasty flavour than others we tried. Toppings are basic and traditional, with a focus on quality ingredients like San Marzano tomatoes and buffalo mozzarella. 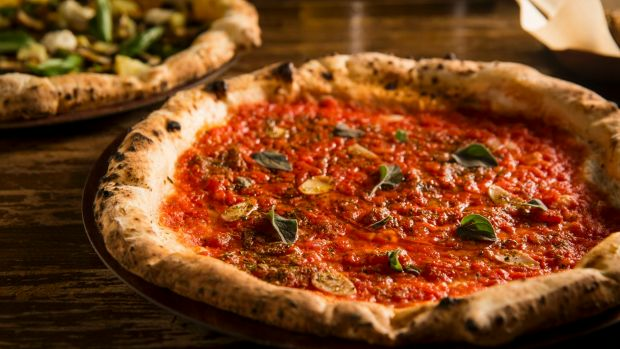 Try the: Napoletana. The sweet buffalo mozzarella perfectly balances the peppery capers and salty anchovies and olives. 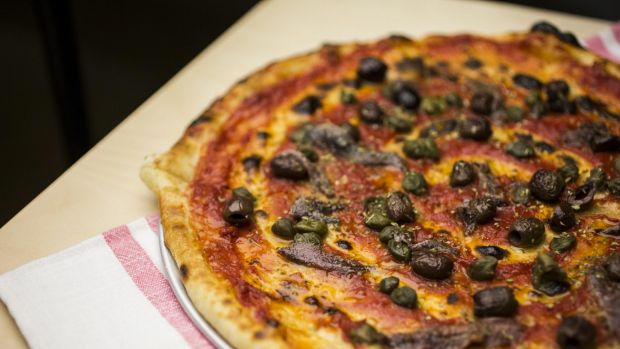 With its influx of top-notch bars, American barbecue (Bovine and Swine) and inventive Middle Eastern (Stanbuli and Cairo Takeaway), is it any wonder that one of Sydney's best pizzas is found on Enmore Road? 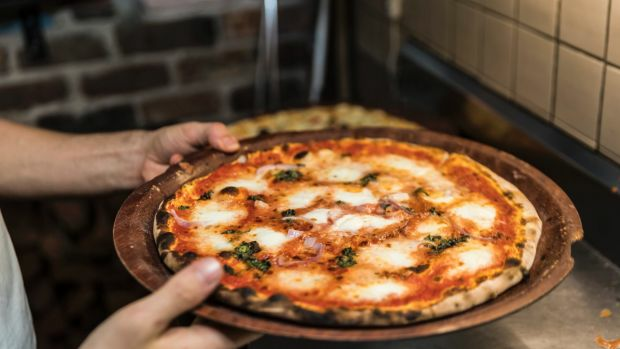 At Rosso Antico, Nonna stands at the wood-fired oven, barking orders at the young men shoving pizzas in and out of the blistering heat, and the results are uniformly fantastic. The swollen crusts taste of char and salt, and are so good you could eat them completely unadorned. 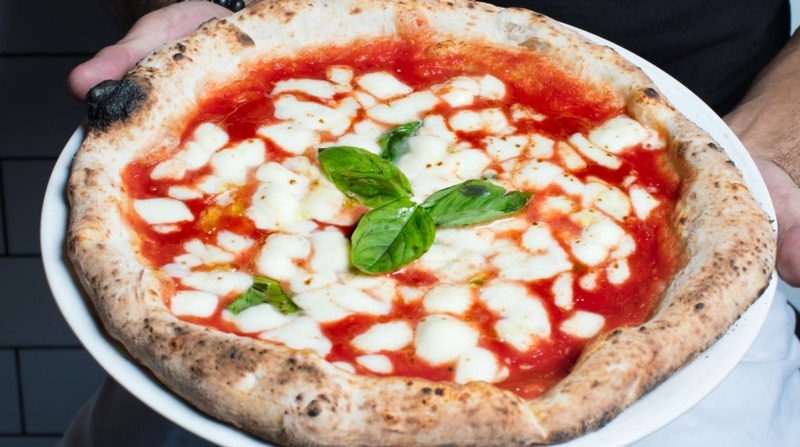 Try the: Margherita. When it first arrives at your table, the toppings almost form a puddle of milky mozzarella, acidic tomato and bright bursts of basil - and that's exactly how it should be. Handle it as best you can and get stuck in while this baby is hot – it's so worth it. A perennial on lists spruiking Sydney's top 10 pizzas, this quiet place tucked away on a Balmain backstreet has been slinging excellent pizzas for years. The dough here is fermented for 72 hours (many pizzerias only do a 24-48 hour ferment), and the flour is stone-ground (rather than the more processed 00), which delivers a light, flavoursome crust with a pleasant chew. Try the: Diavola. Hot salami, tomatoes, mozzarella and capsicum – it's not entirely original, but it is very, very good. With a thicker crust, these pizzas are almost pillowy in their density. The boys at the oven are a little more heavy-handed with their toppings here, but when they're as delicious as these are, it's hard to complain. The buzzy atmosphere, Italian accents and of course, the high quality of the pizza here means there's always a line, so get in early. Try the: Vacanza. Normally we're not fans of truffle oil in any capacity, but there's something irresistible about this rich combination of Swiss mushrooms, fior di latte, truffle oil and shaved pecorino. Vegan pizza. Yep, vegan pizza. We admit it: we were sceptical (at best), and yet this unassuming pizza joint knocked our judgmental socks right off. The crust here was the best we tasted anywhere – chewy, with a slight nuttiness and a perfect amount of salt – and happily, there are very few vegan substitutes (ie, unholy creations like cashew milk "cheese"), with the menu focusing instead on how brilliant plant-based toppings can be. Try the: Ripieno zucca e spinaci, a calzone-style pizza filled with heavenly pumpkin cream, mushrooms, spinach and topped with the sweetest cherry tomatoes you ever did taste. And no, you won't miss the cheese. Trust. Just in case you're about to judge us for including a decidedly non-traditional, Lebanese pizza in our top 10, know this: in 2016, Manoosh was named best takeaway restaurant in Australia by the users of Menulog. Quiet, haters, the people have spoken. Here, the bases are thicker and denser but still familiarly yeasty, and toppings are – as you'd guess – not exactly traditional (there's a garlic chicken pizza). But go with the Lebanese-style toppings and you won't be disappointed. Fragrant za'atar, fresh labne and spiced lamb – what's not to love? 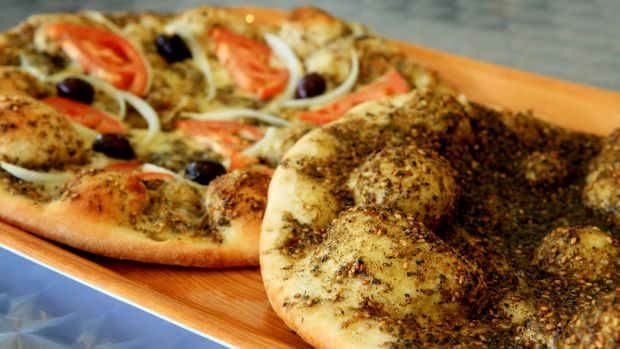 Try the: Za'atar Beirut Style. Haloumi, tomato, onion and chilli flakes on a bed of nutty za'atar. Fold it up and go for your life. 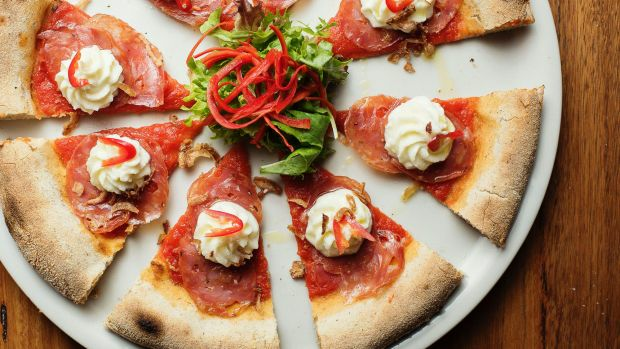 Another firm favourite on best-of lists, this is a pizza joint, Maurice Terzini-style. Certainly more casual than Icebergs – but more upscale than, say, every other pizza restaurant on this list – the setting may be hip but the pizza is traditional and very, very good. Try the: Pesto. Smoked mozzarella may not be the way Nonna makes it, but Nonna could learn a thing or two from chef Orazio D'Elia. Here, the smoky cheese is paired with pesto, ricotta and cherry tomatoes, and the marriage is a very happy one indeed. Monty Koludrovic's ambitious, ingredient-driven restaurant at the Dolphin shouldn't have been a surprise hit, and yet, it was. And while much of the focus has been on the superb wine list and the extensive salumi menu, for our money, the pizza is the best thing about this place. Modelled on the Roman and Northern Italian styles of pizza – that is, slightly bubblier and thicker than Napoli-style (almost like a flatbread, but not quite) – the toppings are both innovative (tuna, green eggs) and traditional. Try the: Peperone. Sweet and spicy house-roasted peppers are a perfect match for hot pepperoni and lactic mozzarella. File this one under: Do Not Share. A newcomer in Sydney, Al Taglio translates roughly to "by the slice", and here, the pizza is Roman-style, where the bases are pre-cooked, heated to order and then topped with the ingredients of your choice. 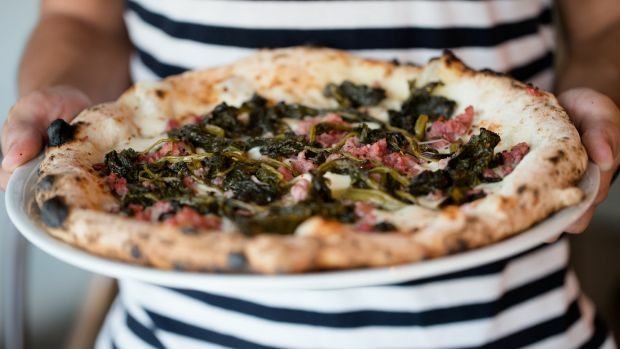 While you'll certainly find the classics here – margherita, diavola and so on – we love the sheer Sydney-ness of some of the ingredients, from yuzu dressing to house-smoked ham. Try the: Sfiziosa. A salty-sweet mix of sardines, capers, olives and yuzu dressing on a tomato base, this is a true standout. What's next for Australia's favourite takeaway? American chain Little Caesars is hoping to become Australia's biggest takeaway pizza franchise, with five stores being opened across the country this year. The franchise offers a pizza that's allegedly ready 30 seconds after being ordered … if that's the kind of thing that floats your boat. Meanwhile, Pizza Hut is getting back to basics, with the return of dine-in restaurants. Pass the bacon bits. 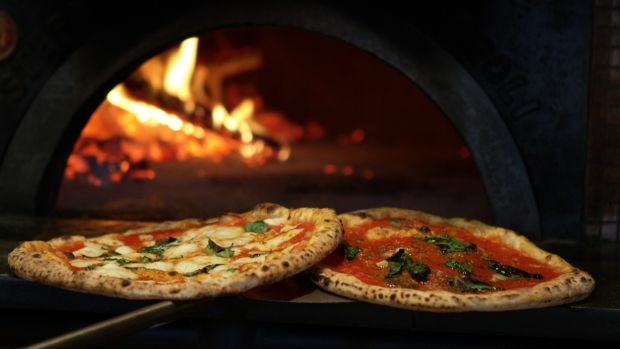 Build-your-own pizzas are the new big thing, with Fratelli Famous and Pizza Fresh Co. in Carlingford offering customers the chance to craft their own style of pizza. Ever wanted ribs on a pizza? Now's your chance. And if ribs on a pizza doesn't sound crazy enough, how about 23 carat gold leaves? The Golden Margherita – topped with edible gold leaf – is available at Pizza Design Co in Parramatta, for the princely sum of $50.